In Part 1 of this series, we looked at the first 45 players inducted into the Baseball Hall of Fame. The purpose of doing so was to determine if it is true, as so many claim, that The Hall was once the exclusive domain of the truly excellent, the best of the best. After examining all the players inducted into The Hall through 1949, we have to conclude that even in its early years, the BBWAA and the various Old Timers Committees were already arriving at some questionable choices for player inductions into the Hall of Fame. Fully 38% of the first 45 players chosen can be regarded as specious choices. Although my analysis is not entirely a matter of sabermetrics, modern measurements like WAR, OPS+ and ERA+ do figure prominently in my evaluations. Now let’s take a look at the subsequent players elected into The Hall for the years 1951-69.
single season record just five years after it was set, received just 9% of the vote in his first year on the ballot in 1936. A word of caution to the Class of 2012, that’s what a crowded ballot can do. Ott, like Foxx, topped 500 home runs, thus helping to create the myth that 500 home runs is the standard by which power hitters must be judged to gain entrance into The Hall. 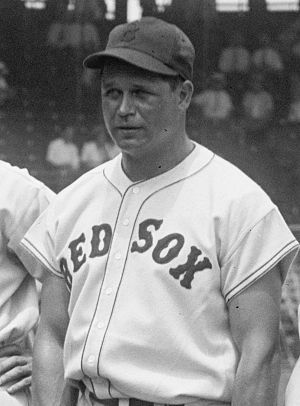 Heilmann, with a pocket full of batting titles and a career OPS+ of 148, received 1.7% of the vote from the BBWAA in 1942. A decade later, without producing so much as a bunt single in the interim, the same BBWAA gave him 86.8% of the vote. This Waner brother (Big Poison) actually does belong in The Hall. Just when you thought it was safe to go back into the water, the dorsal fin of the Veteran’s Committee appears on the horizon. The Veteran’s Committee absolutely loves light-hitting, slick fielding middle infielders. Bobby Wallace’s defensive WAR (11.9) is the same as Bill Mazeroski’s, and is very close to Rabbit Maranville’s 11.8 as well as Phil Rizzuto’s 11.0. Theoretically, this should bode well for Omar Vizquel (13.3) once he becomes eligible. Undoubtedly, some will argue that a Vizquel induction would seriously erode the high standards of The Hall. Clearly, as you can see, that would not be the case. Dean had a great run, but flamed out fast. He had five great seasons in a row, winning an MVP award along with two second place finishes, and one other good year. Essentially, he paved the way for Sandy Koufax, and his equally brief run of greatness, to make it into The Hall. the early years of the 20th century. 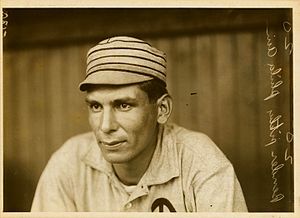 In his rookie season, 1903, he led the league by plunking 25 hitters in 270 inning pitched. Don’t mess with the Chippewa. But his career ERA+, 112, and his WAR, 38.5, are significantly lower than the vast majority of pitchers elected to The Hall up to this point. Eleven-time All Star Bill Dickey is still among the ten best catchers who ever played the game, so at the time of his induction, few catchers in history had ever been as good as he was. Rabbit Maranville: See Bobby Wallace above. Bill Terry was similar to George Sisler in that he was a slick-fielding first baseman who hit for high averages, but delivered little else of significance between the foul poles. Won a batting title. Career Offensive WAR 48.1. Essentially, he was John Olerud. Hard to believe that by 1955, Joltin’ Joe was already eligible for the Hall of Fame. In his short 13-year career, he finished in the top ten in MVP voting ten times, winning the award three times. Certainly an obvious choice for The Hall. Interestingly, his closest modern comparable player (according to Baseball-Reference) eligible for The Hall is Larry Walker. For seven consecutive seasons, from age 31-37, Dazzy Vance led the N.L. in strikeouts. I’m of the opinion that this kind of dominance merits Hall membership. Of the pair of catchers elected, Gabby Hartnett was a solid choice, but Ray Schalk was a poor one. In fact, Schalk’s election set the bar so low (at least for catchers) that it is possible to make a case that Butch Wynegar deserves to be inducted into The Hall. Mark McGwire hit 583 home runs. Home Run Baker hit 96. They both led their league in home runs four times. McGwire’s career WAR was 63.1. Baker’s was 63.7. This is as good an indication as any of how misleading traditional counting stats (home runs, batting average, RBI, etc.) can be. Baker does belong in The Hall. Ted Lyon’s election set the stage for later misfires like Eppa Rixey, Burleigh Grimes, Red Ruffing and Waite Hoyt. Two solid choices for the Hall of Fame. MLB career leader in triples with 309. Career OPS+ 144. Career WAR 76.6. Solid choice. Wheat is a marginal HOF’er. Won a single, empty batting title in 1918 (18 extra base hits.) OPS+ 129 is the same as Freddy Lynn. Career WAR 57.8 puts him in Willie Davis territory. During the 1950’s, then, just 14 of 21 players inducted into the Hall of Fame were high quality choices. Therefore, about one-third of all the players inducted during this decade were of questionable merit (or worse.) Thus, out of the first 66 players inducted into The Hall between 1936-59, just 42 were what can be described as high quality choices. That represents just about 64% of all players chosen up to this point. This begs the question, so when does this Golden Age of the Hall of Fame actually begin? Perhaps we’ll have better luck during the 1960’s, the next installment of this series. Allow me to make a pitch for Bobby Wallace. He actually rates quite well by wWAR and I wanted to share why. He is grouped in with “light-hitting” infielders Mazaroski, Maranville, Rizzuto and Vizquel. The thing is, he wasn’t that much of a “light hitter”. Wallace grades out way ahead. So, Rizzuto is at least something of an “okay” hitter. Maranville and Vizquel are bad hitters and might be the two most comparable players ever. Is Wallace comparable to Rizzuto? Wallace had 9612 PAs. Rizzuto did his work in just 6716. So, that’s why Wallace was able to pile up a ton more value over replacement. Then there’s the fact that Wallace could pitch and actually added 5.4 WAR as a hurler. No contest. Wallace is better than all of them and definitely belongs. Hi Adam, Sure, a reasonable argument can be made for Wallace for The Hall. But his career WAR is essentially the same as Willie Randolph. Now, if you proposed that Randolph belongs in The Hall, lots of baseball fans and writers would say you’re crazy, that he’d “water down” The Hall. And that’s the point of this series. How many guys are already in The Hall that are no different, and sometimes worse, than many other retired players who people would say just don’t belong in The Hall? (Randolph, Whitaker, Trammell, Jimmy Wynn, etc.) So we are looking for the mythic best-of-the-best Golden Era when only true immortals (shorthand: 70+ WAR) were elected. As you can see, we’re having some trouble finding this mythical Golden Age. Personally, there are about 15-20 retired players that I would put in The Hall right now, because they ARE as good, or better, than many players already in. Glad you like the series; I appreciate you following along. I could make a case for just about every player that was elected in those years except for Maranville, and Schalk. They are terrible choices. HR Baker was the best 3rd baseman of his time. He was the best power hitter of his time and a very good fielder. He should get more props as a legitimate HOFer. Hi Kevin, I could make a case for almost all of them, too, as well as for Reggie Smith, Jimmy Wynn, Will Clark, Dwight Evans, Kevin Brown, Alan Trammell, Ted Simmons, and so many others. And that’s the point. When someone says that to elect any of those players would “water down The Hall,” well, my point is The Hall has been putting players of that caliber into The Hall for around 70 years now. This mythical Golden Era, where ONLY players like Ruth / Gehrig / Cobb / Wagner / Hornsby, etc. got elected is largely a fiction. Sisler and Terry might belong in The Hall, but they are closer to Olerud and Will Clark than they are to Lou Gehrig and Jimmie Foxx. And I agree with you about Baker. I think he is a legit HOF’er. Thanks for reading, as always, and for leaving the comment.